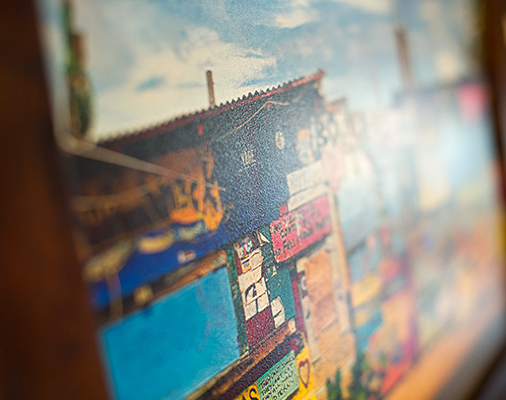 Our most beautifully custom printed photographs, mounted on gator foam and treated with a textured protective spray creating a look reminiscent of an acrylic painting. The colours really hop off the wall when these are hanging. Either prop on a picture ledge as is or frame and hang. We like to frame these simply in espresso or black matt finish moulding or one of our solid teak frames.No glazing or matting is required when framing these photographs. Also available in a smooth matt finish if preferred.Available in square or landscape/portrait /panorama formats and of course in various sizes.